Income ceiling significantly higher then currently showing. "Prime" weeks blocked out every year!! . Truly an elegantly beautiful home positioned at one the highest elevation on the entire oceanfront in all of Corolla!!! Built in 2009 by a well respected true Outer Banks builder O.C Fulcher. If you are looking for the perfect investment / Beach house then this is your "Grande Finnale"! This eight bedroom home is complete with a theater room, game room, "gamers video room", expansive outdoor pool area with heated pool and hot tub. 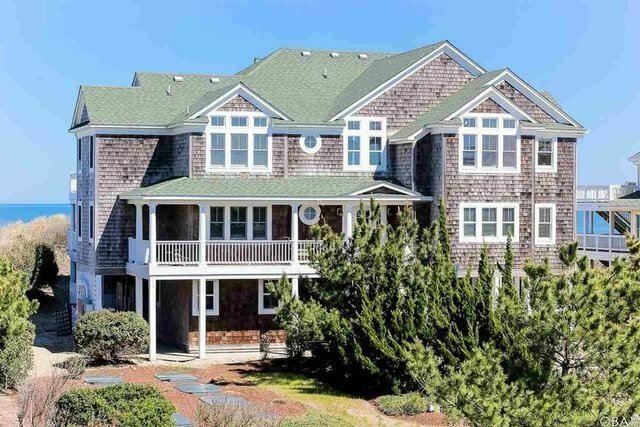 WIDE OPEN main living area with unobstructed ocean views all around to enjoy year round. Professionally landscaped complete with irrigation sprinkler system. Looking for a great investment but NOT looking to do a full renovation...?? ?.look no further than the "Grande Finnale".